Our store can be found at 1190 East Highway 372 #16 in beautifully scenic Pahrump Nevada. After living in Pahrump for over 7 years, Josh and Chris Osborne noticed the lack of computer resellers in the valley. With a love for electronics and over 17 years experience selling and teaching computers to the educational market they decided to do something about it. In September 2010, Josh and Chris opened their first store specializing in name-brand computers at discount prices. With 5 store expansions in our five years, we are grateful to say business is good. 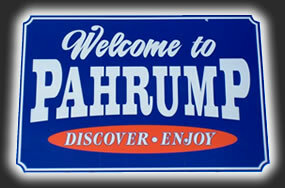 Thank you Pahrump! Our goal is to offer the best selection of computers in town at the absolute lowest prices around. We also want to help our customers pick the perfect computer by offering friendly, warm and easy to understand repair service and advice. We'd be honored if you'd stop by and let us show you around. For convenient map and contact information please click here.